I’m not much of an eyeshadow gal but I do have two absolute favourite eyeshadows that I always go for for days when I feel like having a crease and lid colour for a more dolled up but still natural look. 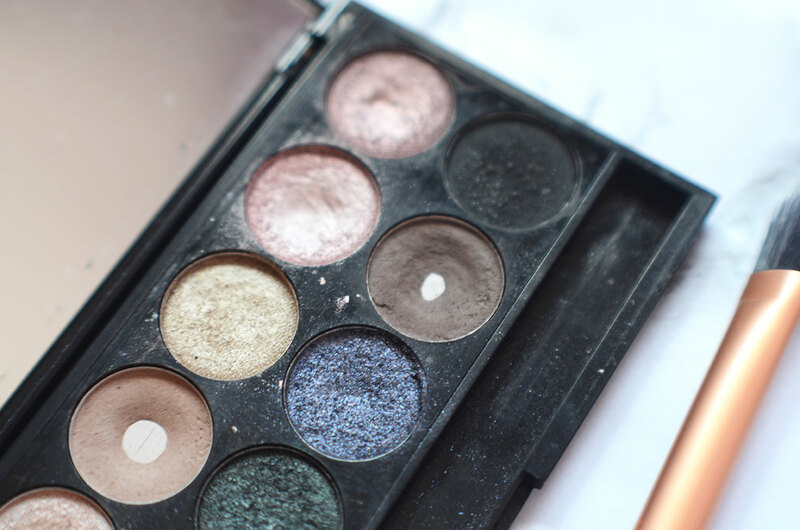 The two eyeshadows come in Sleek Storm Palette that I have had for years and is also my favourite drugstore palette that I think is worth your money one hundred percent! You can probably guess the two eyeshadows I mentioned above just by looking at the palette. I hit pan on both two shades and I honestly have no idea what I’m going to do if I used them to the brim. They are the nicest light brown (Calm Before the Storm) and medium brown (Eye of the Storm) shadow that are both perfect for crease colour. I also use the medium brown shadow for my eyebrows and lo and behold, it stays put all day long and it’s the perfect brow shade for me. I don’t need much help in brow department anyway so I just use eyeshadow powder to fill them in if I want a more carved eyebrow look. This palette has been used to its core and it’s nearing its death already when I dropped it and one of the hinges broke. I love every single shade in this palette although I rarely use the more dramatic shades such as the greens and blue. They are beautiful — don’t get me wrong but I’m more of a brown, mauve, taupe, and pink shadow kinda gal and greens and blues intimidate me. However, this palette is very well used and loved and I will definitely repurchase it. What’s your favourite eyeshadow to use?